Nothin’ but love here. 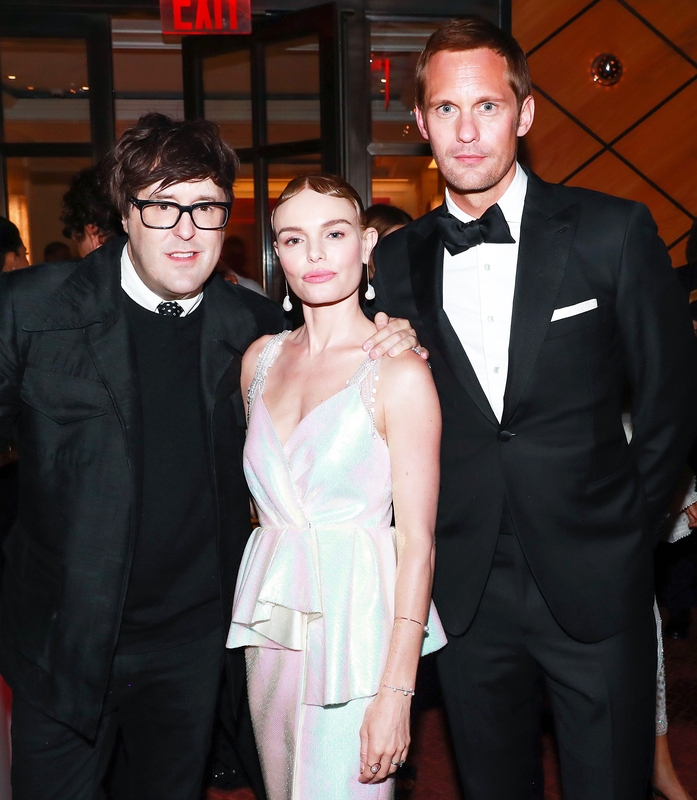 Exes Kate Bosworth and Alexander Skarsgard reunited at an afterparty for the 2018 Met Gala on Monday, May 7, where they not only exchanged pleasantries, but also posed for photos together! The former flames, who dated for two years before breaking up in 2011, attended Versace’s 2018 Met Gala Afterparty at the Mark Hotel following the event, which was held at the Metropolitan Museum of Art. Bosworth, 35, and the Big Little Lies star, 41, were in good company, as Donatella Versace, Justin Theroux, Jared Leto, Black Panther’s Chadwick Boseman and other stars were also in attendance. The Before I Wake star has since moved on from the Swedish actor. In 2013, she married film director Michael Polish, who she met on the set of 2011’s Big Sur, in an intimate ceremony in Montana. As for the True Blood alum, he was previously linked to Alexa Chung in 2015.